Throwing a Halloween party this weekend? 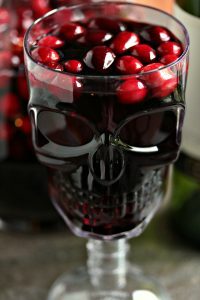 Here are 2 Wickedly fun and easy recipes to get your guests in the haunting holiday spirit! First you can start by de-stemming and rinsing off the grapes. Place them on a baking sheet and put it in the freezer at least 2 hours before serving. 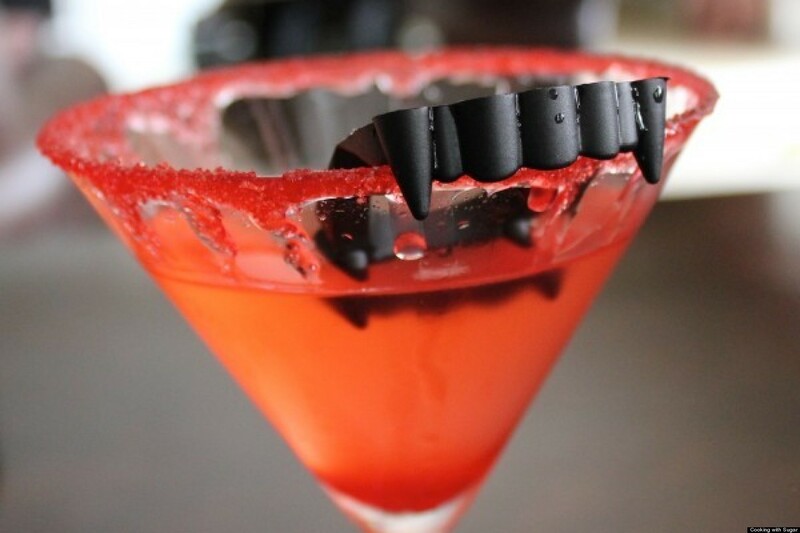 These will keep the sangria cold without watering it down, but also look like eyeballs for the spooky theme. Slice 1 lime, 1 lemon, and 1 orange into rounds (leave the 2nd orange for serving). Put the fruit slices into a large glass pitcher, add ¼ cup of brandy and 1 cinnamon stick; gently stir. Slowly pour the bottle of Wicked Pinot Noir into the pitcher. Refrigerate for at least 2 hours, longer chill time will increase the flavor. Come time to serve, add the can of ginger ale into the pitcher and stir. Rub an orange slice around the rim of a glass, put some colored sugar on a plate then dip the rim. Fill glasses with reserved orange slices and frozen grapes (or “eyeballs”). Finally, pour in the sangria and enjoy! 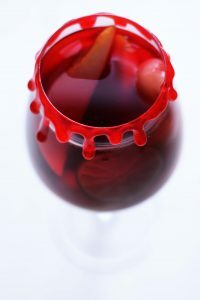 Pour a bottle of Wicked Smooth Merlot, 4 cups of cranberry juice, and ¼ cup of Cointreau into a pitcher. Add 2 cups of fresh cranberries and stir well. Put the pitcher into the fridge for at least 4 hours. When ready to serve, add in the 2 cups of sparkling water and ice. 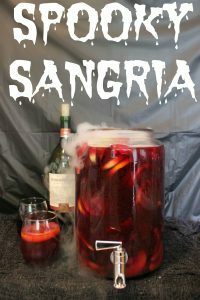 This entry was posted in Recipes and tagged Drinks, halloween, hallowine, Recipe, sangria, spooky, Wine. Bookmark the permalink. ← Get Wicked in Salem this Halloween Season!